Orderhive connects with Amazon FBA and MCF (Multi-channel Fulfillment) services to help you track FBA inventory and send Non-Amazon orders to FBA warehouse seamlessly. 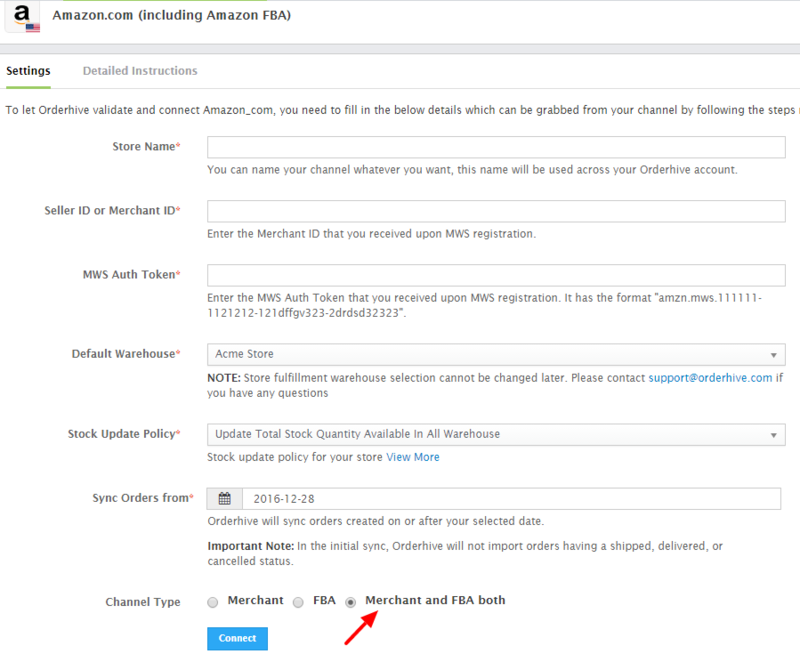 To enable FBA in Orderhive, you need to select the below option while adding your Amazon channel. Once you connect, Orderhive will sync both, Amazon Merchant Account & FBA. 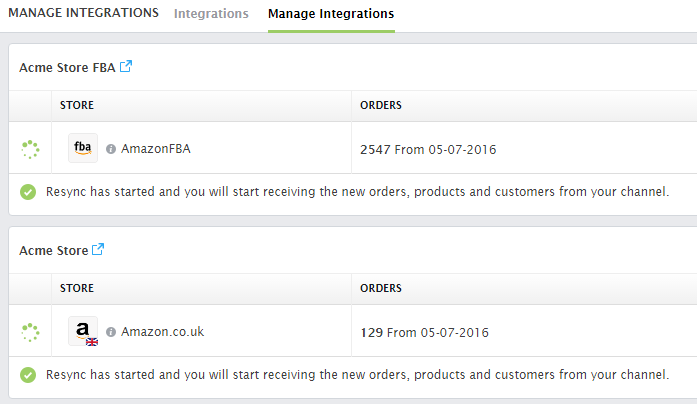 After sync is completed, your Amazon channels will appear separately on Manage integrations page. 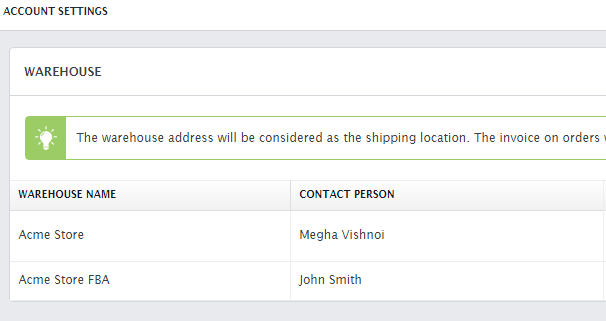 Also, a FBA warehouse (controlled by Amazon) will get created in Orderhive automatically. This will appear under Warehouses page. Orderhive imports FBA products and automatically populates on the Inventory listing page. Amazon merchant products and FBA products are kept unique for easy identification. The stock field of FBA products in uneditable as it can't be manually adjusted in Orderhive. Amazon has complete control over their warehouses. However, any stock changes in FBA products made via Amazon will get reflected in Orderhive in real-time.